Perhaps it's been the arrival of Spring and some better temperatures out there that have my smoothie a week becoming a smoothie a day! It could have something to do with the delivery of my new Chefman blender, complete with cups sized out for individual needs! I'm not sure really, but regardless they are all I can think about when I first wake up in the morning. I often go for one that has some kale for iron or something with protein in it for energy. The one I'm sharing today is nothing like that at all though. Indeed it's actually the sweet tropical sort because it was one of those desert for breakfast kind of days here. Considering how I've just pegged this to be a desert, you must think I loaded it up with sugar, but the opposite is true. The natural sweetness from the mango and a little something from the greek yogurt have this tasting just as divine without the added calories. So no need for sweetners here at all in my opinion. If you do like a very sweet smoothie, you can always add a bit of honey to keep it healthy, light and tasty. Blend all of the ingredients in the blender and serve with a dollop of greek yogurt and a blackberry perched on top for garnish. add a mint leaf too if you'd like. Keep in mind that switching the frozen mango to fresh mango is perfectly fine but then you'll have less of that frozen smoothie effect. If you'd like to then add back the "freeze", toss in a bout 1/3 cup of ice cubes with the rest of the ingredients. 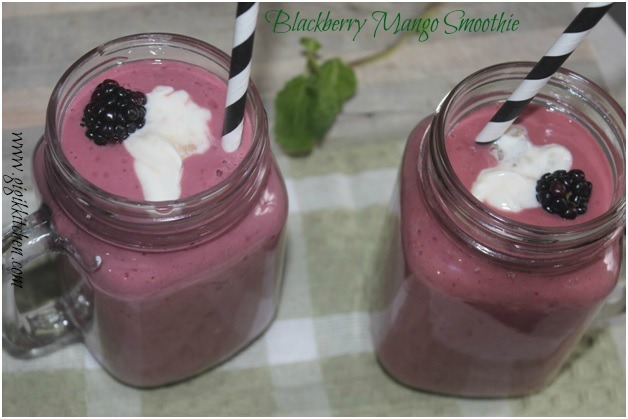 I really hope you will give my Blackberry Mango Smoothie recipe a try! 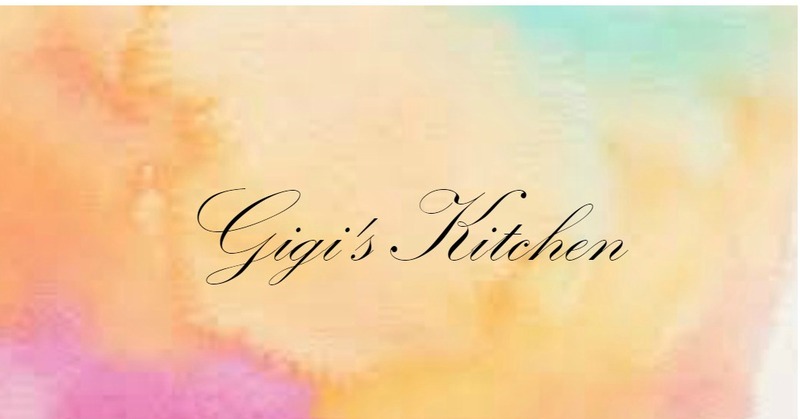 Don't forget to leave me a comment below letting me know what it was like if you do! And feel free to tag me on Instagram or post your photo on my facebook page as well.